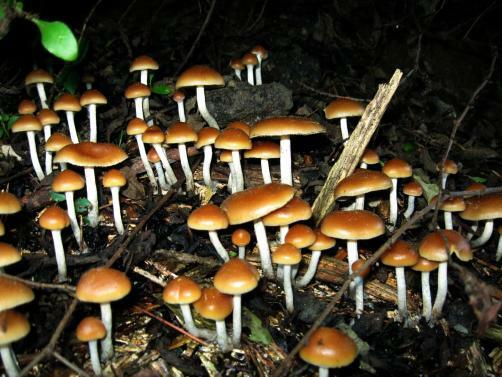 The US Food and Drug Administration (FDA) has given psilocybin – the psychoactive ingredient in ‘magic mushrooms’ – breakthrough therapy designation, due to the potential it holds as a treatment for depression. The designation is granted to therapies for which preliminary evidence suggests potential substantial benefit over existing therapies. As such, breakthrough therapy designation represents a significant milestone for psilocybin as a treatment for depression. The FDA designation was granted to the London-listed mental health specialist COMPASS Pathways. The company is now running the first large-scale psilocybin therapy clinical trial for treatment resistant depression, which will take place in Europe and America over the next year. The designation has come after the psychedelic research company gained backing from Silicon Valley billionaire Peter Thiel. Shares in COMPASS are up since the designation was granted on Tuesday. Notably, while SSRIs dampen activity in the amygdala, psilocybin does the opposite through actually promoting activity in the emotion processing centre of the brain. Nevertheless the chemical has shown promise as a highly effective treatment for depression. As such, the treatment may offer an effective alternative to SSRIs. Dr Robin Carhart-Harris, Head of the Psychedelic Research Group, Imperial College London, said, "In our 2015 study, we provided psilocybin to 19 patients in a clinical setting, coupled with psychological support, and found promising signals of efficacy and safety as treatment for treatment-resistant depression. The Breakthrough Therapy designation is a strong endorsement for the potential of psilocybin therapy. We look forward to learning more as further clinical studies are carried out, by our team at Imperial College as well as in COMPASS's multi-centre trial."